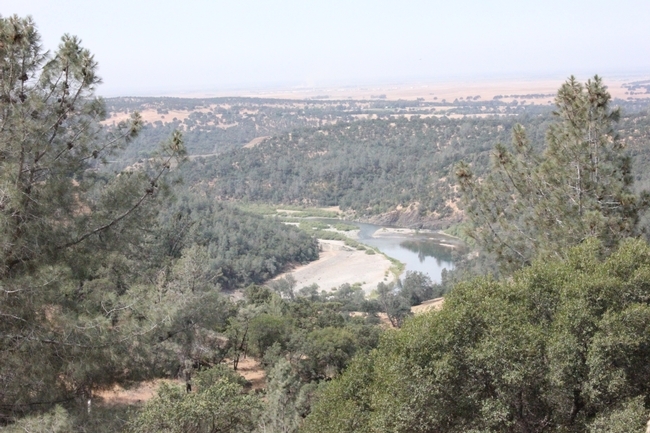 Pacific Gas and Electric Company has donated 41 acres in Yuba County to the University of California as part of its land conservation commitment. The donation of the Narrows Unit to benefit UC's Division of Agriculture and Natural Resources was made in coordination with the Pacific Forest and Watershed Lands Stewardship Council (Stewardship Council). 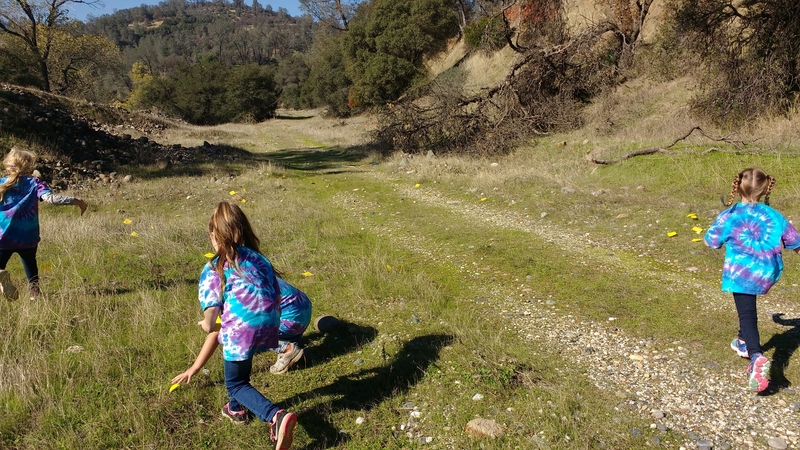 The parcel, which is adjacent to the UC Sierra Foothill Research and Extension Center (SFREC) in Browns Valley, will be managed by UC to protect its natural resources. The transaction closed January 29. Located on the Yuba River, the Narrows property is 60 miles northeast of Sacramento. UC Sierra Foothill Research and Extension Center has more than 5,700 acres of rangeland for scientists to study critical rangeland issues. “We are excited to be able to manage this parcel because this new property will increase the size and connectivity between key research pastures at Sierra Foothill Research and Extension Center,” said Jeremy James, SFREC director. Cattle grazing is a major tool to manage vegetation on rangelands and to enhance rangeland ecosystems. Although the Narrows land is too steep for grazing, it can be used to study a suite of critical natural resource processes. “In partnership with the many organizations that make up the Stewardship Council, PG&E is pleased to permanently protect the natural resources and beauty of the Narrows parcel and watershed lands associated with our hydroelectric system for the benefit of current and future generations,” said Mike Schonherr, manager of PG&E's Land Conservation Commitment Department. The research center encompasses river, grassland, oak woodland and riparian habitat types for studying beef cattle production, nutrition and health, rangeland water quality management, oak woodland restoration, native plant conservation and invasive plant management as well as monitoring and management of sensitive fish and wildlife species. 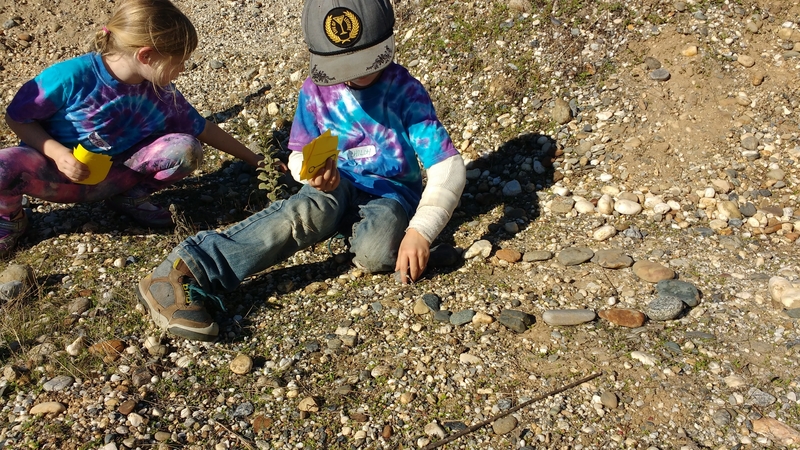 The center additionally offers many educational features including a series of nature trails and an education center on the Yuba River, which can be used by schools and community groups for outdoor education and outreach events. Bear Yuba Land Trust is a non-profit, membership-supported group that promotes voluntary conservation of natural, historical and agricultural resources in the Bear and Yuba watersheds of the Sierra Nevada foothills. Each year, BYLT's stewardship team will monitor the conservation easement at the Narrows for conservation values like documenting the presence of native plants and animals. BYLT will hold the development rights forever, meaning the land will be permanently protected as a natural place and remain undeveloped. 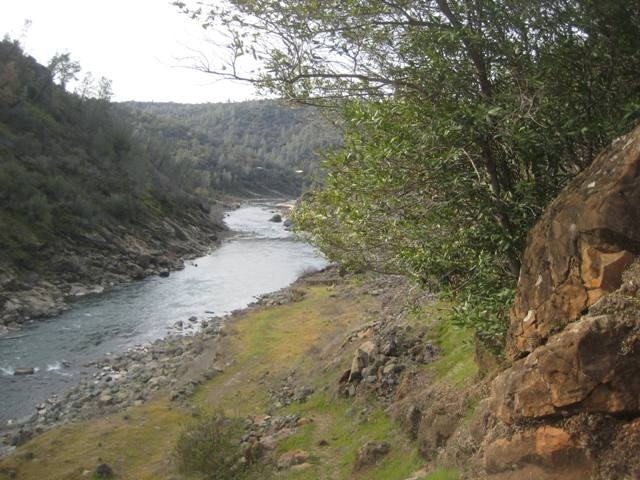 For more information about PG&E's transfer of the Narrows property, visit http://www.stewardshipcouncil.org/land_conservation/planning_units/narrows.htm. 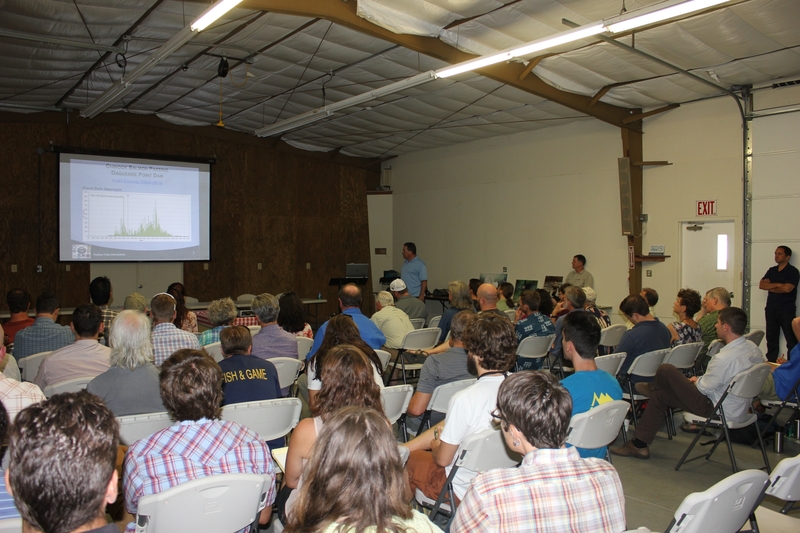 For more information about the UC Sierra Foothill Research and Extension Center, please visit http://sfrec.ucanr.edu. Summertime draws scores of people from the region to the Yuba River for a variety of reasons. 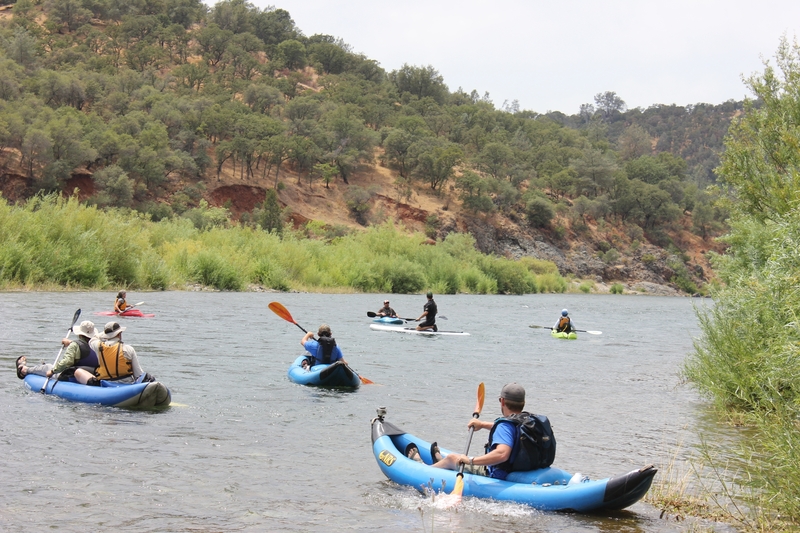 Recreation is frequently the biggest attraction with cool water for swimming, shallow stretches for fishing, mild rapids for kayaking, and a variety of other features to host fun activities. However, over the past several summers specific groups have visited the lower Yuba River to work toward a goal of rehabilitation. 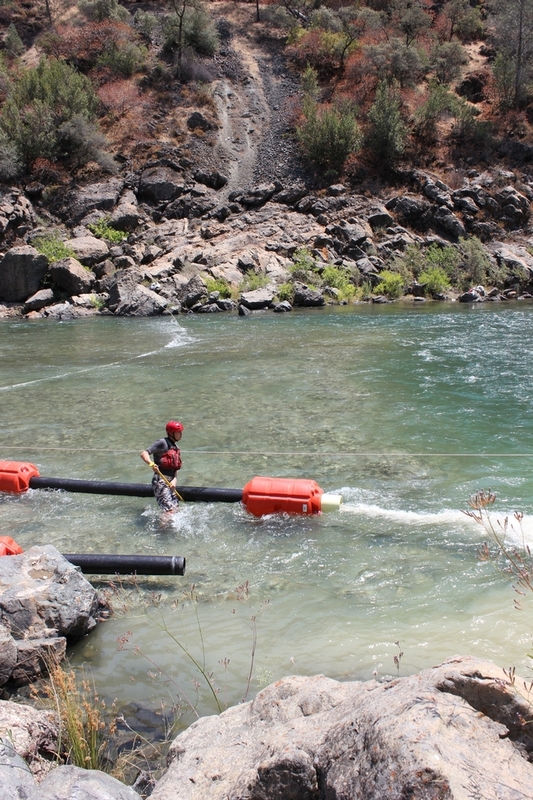 A collaborative effort involving the Pasternack Lab at UC Davis, the United States Army Corps of Engineers, the United States Fish & Wildlife Service, Englebright Dam representatives, private contractors, and the UC Sierra Foothill Research & Extension Center has made significant headway in enhancing spawning habitat for anadromous fish on portions of the lower Yuba River. 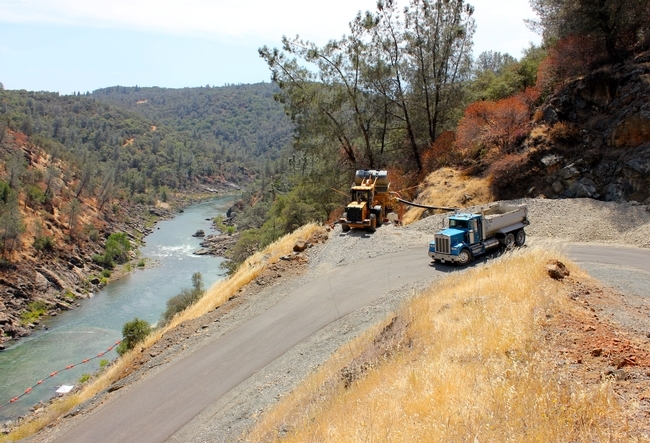 Since 2007, more than 15,000 tons of triple washed gravel and cobble has been deposited (watch the time lapse video here) during periods of low flow in the stretch of river downstream from Englebright Dam, between the Narrows II and Narrows I powerhouses. During high flows a portion of this material is washed downstream. Chinook salmon is the key species this project aims to impact. 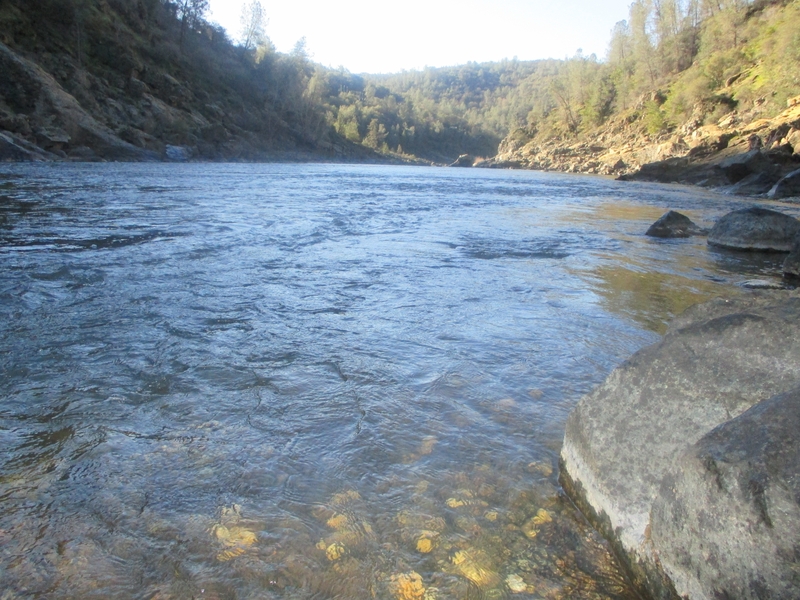 Ideal conditions for spawning include a flow of 1.5-2 feet per second (fps) and a depth of two feet. With the material deposition, expanded habitat is being created to encourage additional spawning. Even with a very limited volume of coarse aggregate added, over 100 salmon redds were documented between September of 2009 and February of 2010. This finding suggests that with additional deposition, a spring run for the salmon is definitely a possibility. 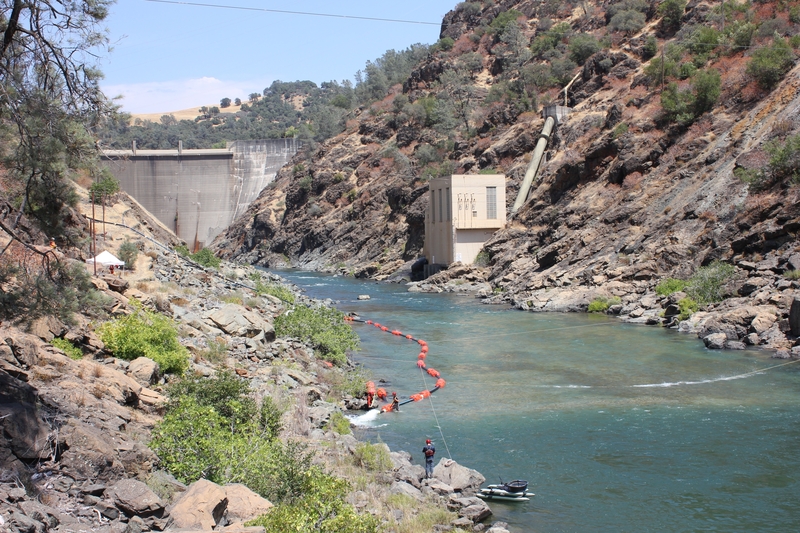 Ultimately, having higher populations of fish will enhance the surrounding ecosystem and benefit all users of the lower Yuba River. The summertime injections began this season again in late June and will continue until the end of August. Beginning in September, anadromous fish will be seen in the stretches of the lower Yuba to complete their life cycle. 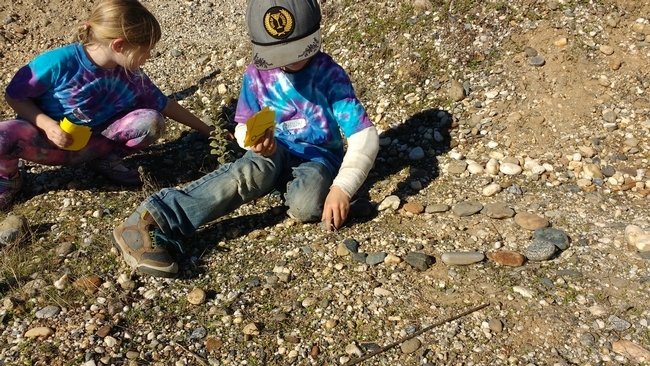 Beyond the significant achievements being made to enhance spawning habitat, there is tangible value in the cooperative efforts between the groups and individuals involved with this project. 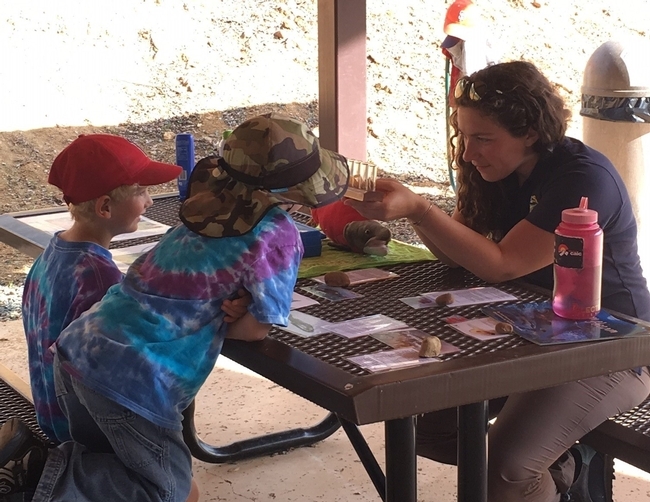 Stay engaged to discover more about the fall salmon run in just a few weeks! 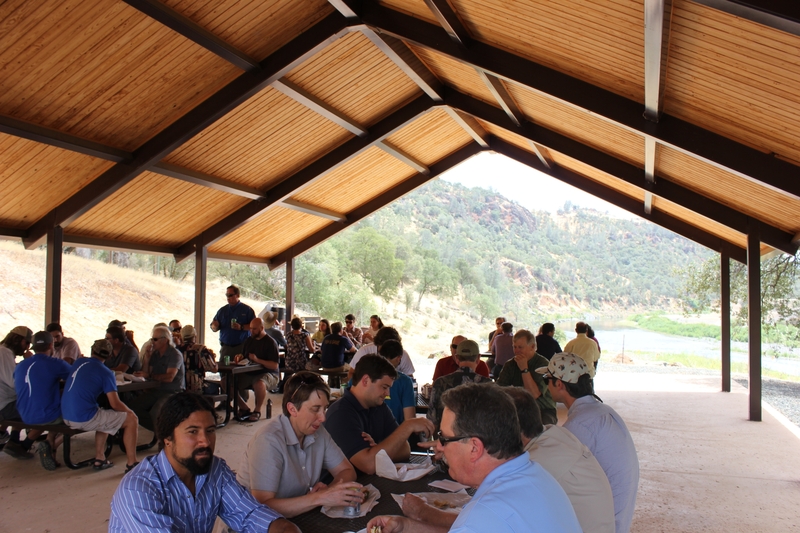 Just another beautiful day at the Sierra Foothill Research & Extension Center! 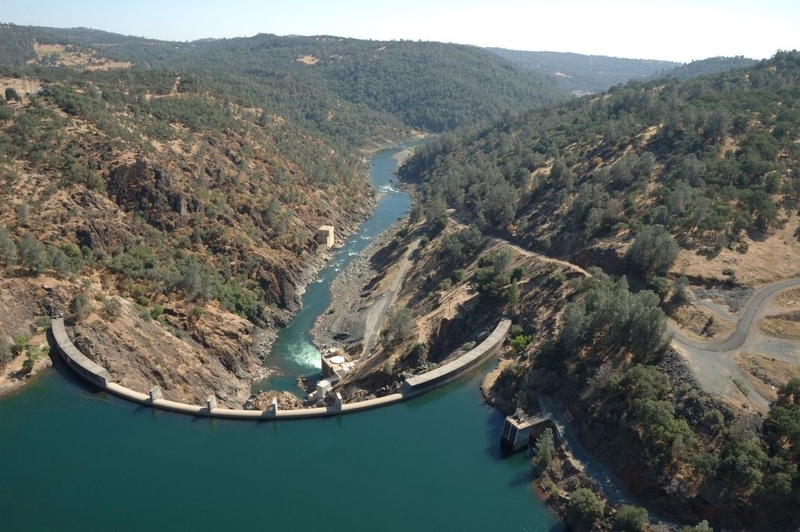 SFREC is located just 60 miles north of Sacramento in Browns Valley, bordering both Englebright Lake and the Yuba River. For the latest and greatest happenings at SFREC you can now visit us on Facebook and Twitter. Check us out today!